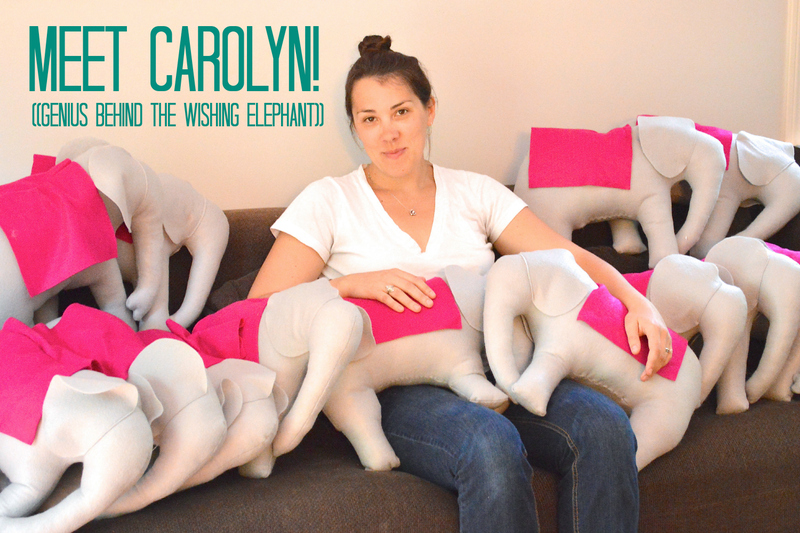 One of my favorite online shops to peruse is The Wishing Elephant. 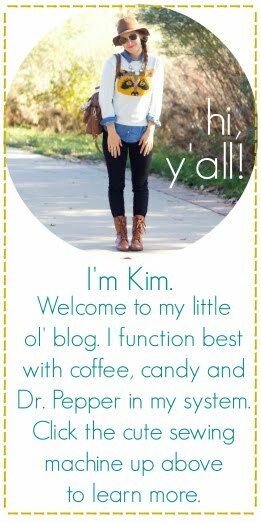 I love her handcrafted onesies and clever costumes that she makes for little ones. Knox's Wishing Elephant collection is growing quickly, and I'd have to say my favorite is a two-way tie between the Jackalope and Groucho glasses. The little gnome is a close third. Carolyn's shop is one to watch, for sure! It has been so fun to watch her business grow. To be honest, sometimes I just look around my studio and wonder - how the heck did this happen? I started The Wishing Elephant in 2009 when my son was just three months old. My very first design was the Groucho (Knox's fav?). 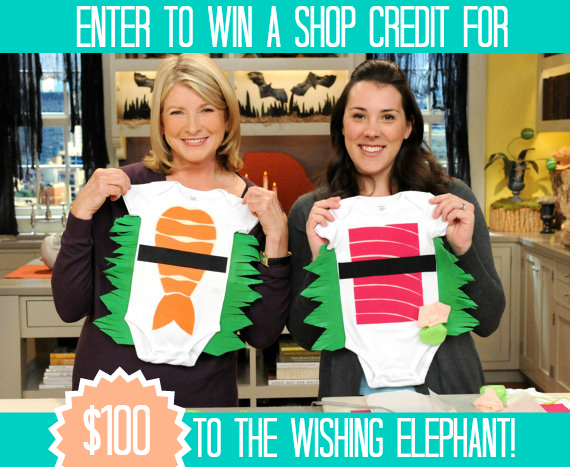 When my second baby was six months old, I was asked to be on The Martha Stewart Show with my daughter's sushi costume. Things got a little wild after that! Yes, Martha is awesome. No, she wasn't mean to me. She did call my daughter a boy (about 3 times), but I was too nervous to care! You can check out the video here http://www.marthastewart.com/998019/baby-shrimp-sushi-halloween-costume (starts minute4:40). Watch for the pure elation at the end, I didn't faint or barf!! Enough about Martha! If you want to catch a glimpse of my kiddos, you'll see them modeling my goods in the shop and covered in ice cream on my Instagram feed. Look on Etsy for my giggle worthy clothes for babies and toddlers. This time of year my shop fills up with simple, comfortable and awesome costumes. I think your kids should look amazing AND be comfy (Yes, that can happen). Remember when your mom used to make your costumes? Well, this is the best of both worlds - a handmade costume made by someone else (ahem, me). If you peek in this month's EveryDay with Rachel Ray, you'll see our lederhosen onesie on page 102! Woot, woot! Today, Carolyn is generously giving away a $100 shop credit. Just follow the instructions on the widget to enter! The sushi is TOO CUTE! I love all of them though. How sweet! I love the marshmallow and campfire onesie. EEEEEE!!! The R2D2 costume (called the "Robot Costume" on the site) is too awesome for words!!! Those are crazy cute. So many sweet little outfits! I think my favorite is the campfire one, but it's hard to choose!! So many cute things. holy moley those are cute. the sushi onesies?! LOVE. The Nintendo Fire Flower Onesie is awesome!! Ah this stuff is too cute! I love the Uber Geek baby onesie!! I love the Butterfly Play Wings. I love the chocolate chip cannoli costume! I'm in love with her gnome costume, but especially in love with the message for the strong girl costumes!! The sushi onesies just KILL ME. I think I need one of those in my daughter's life. I like most all of them! But mostly I love the Marshmallow Campfire one. Oh and the Jackalope. Baby Sushi is AMAZING. NEED one for each day of the week. Definitely the Nintendo baby... Or maybe the circus performer... Or... I can NOT decide! Way too much cute going on! I love the mario and luigi costumes! You're really making me pick? Ummmmm - well, I love the salt and pepper and cheeseburger and fries because I have twins, and the Stay Puft is to DIE for. The Game Boy speaks to my heart, and R2D2 speaks to my husband's. Oh, I don't know! The R2D2 onesies for sure! So cute! The pilgrim onesie is so adorable! I like the pilgrim costume. Every year at my husband's work they do a Thanksgiving feast where people dress up as pilgrims or Indians. It would be so cute to have a baby dressed up. I love the lettered cardigans! I'm so torn between the VW buses, the Hostess cupcakes, and the Mario onesies! I love them all. Love love love her shop!! I will order something for my son arriving in jan! I really like the baby gnome custome and also the uber geek onsie! The sheriff onesie is perfect for us!! Love the Sushi of course and the marshmellow!! I adore the Handheld Video Game Baby Onesie - if my SIL & BIL are having a boy, I'm definitely getting that! The lederhosen onesie is so freakin' adorable! the orange VW onesie is INSANELY awesome. the gnome onsie for sure!!! I love it all but the baby Gnome has to be my favorite! The little chef costume is adorable! !